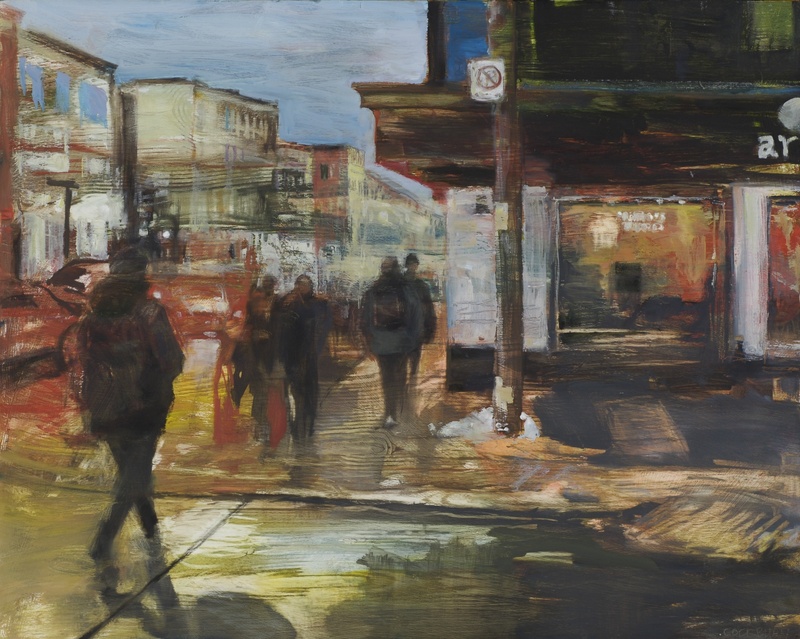 Frances Cockburn's recent paintings are dramatic excerpts of life unfolding in our metropolis. Opening Reception: December 6, 6-9pm. "How do you know where you are? 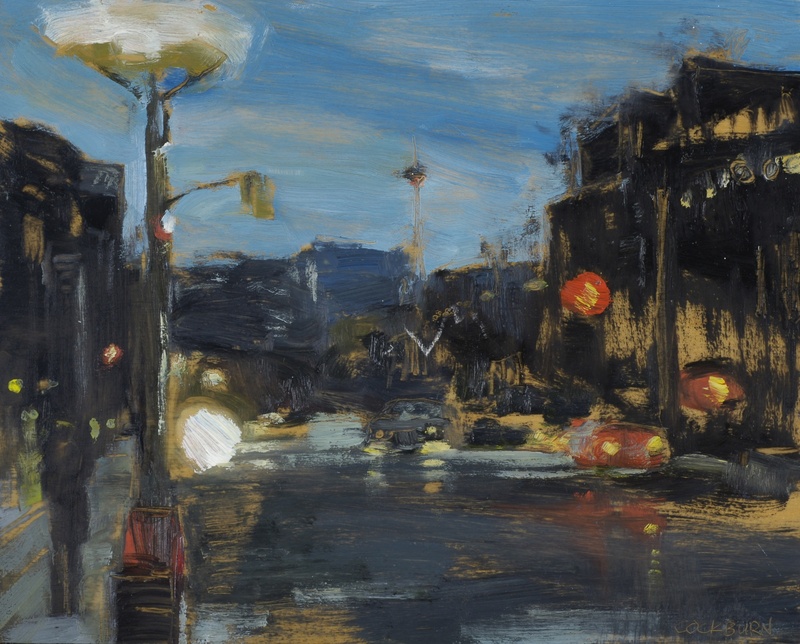 This is a question that popped into my head after I'd spent some time travelling through the city, often at night or in the rain, and into the country, in Frances Cockburn's new paintings… There is something particularly Ontario, perhaps even southwestern Ontario, about this. 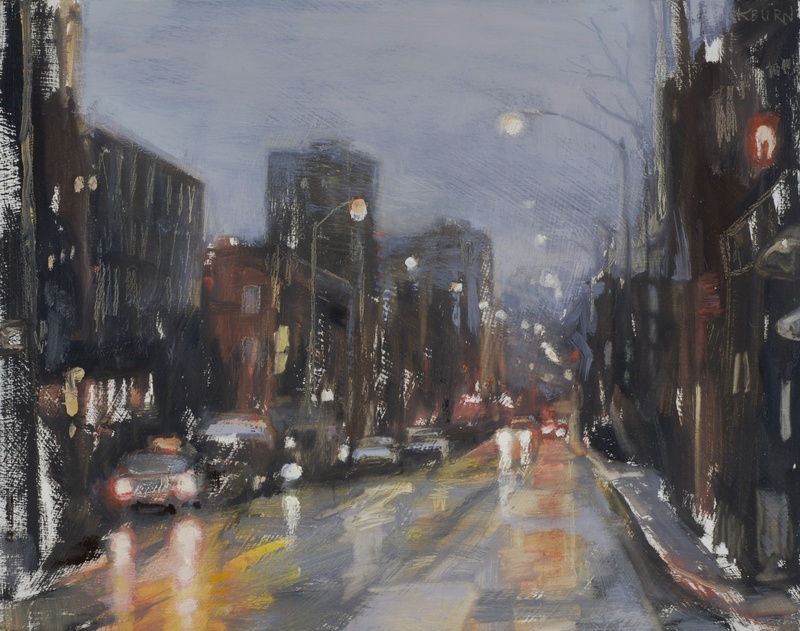 The colours and tones, the shapes and patterns, resonate in a way that feels very close to home… It's present in the landscapes and the urban paintings. It is here in Swamp, Osprey Sideroad, and in Going Home. It's in the reflective shadow that spreads below the car tire in Bloor Street. it's above the houses in Lynn's View; on the shoulder of Road. It's a binding colour, the red of shale, the red/brown of dried blood; it's the colour of the local earth, the clay of our own shaping, and the wine that runs through our bodies. How do you make a feeling? How do you create a visual place for the feeling that you're making?.. Frances Cockburn's paintings are hand and eye alive and in motion, the work of an artist who is truly of the world that surrounds her" — John Terpstra, cabinetmaker and writer.